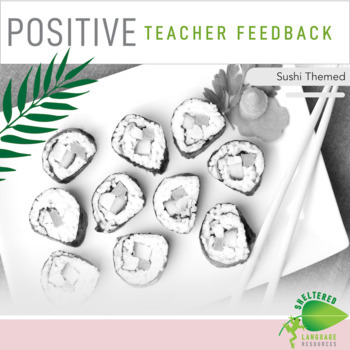 This bundle of sushi-themed resources is perfect for the sushi obsessed teacher! Great for instructional coaches, principals, assistant principals, and teacher leaders! 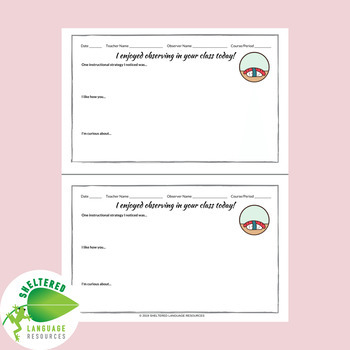 Use these ready-to-go observation and feedback forms to provide positive feedback to teachers. This resource contains 5 forms with each form printed 2 to a page. Each page has a colorful piece of sushi clip art. Can't decide and want them all? Get all 6 resources for a discounted price! Want to stay connected and see other things I like, use, and am interested in?